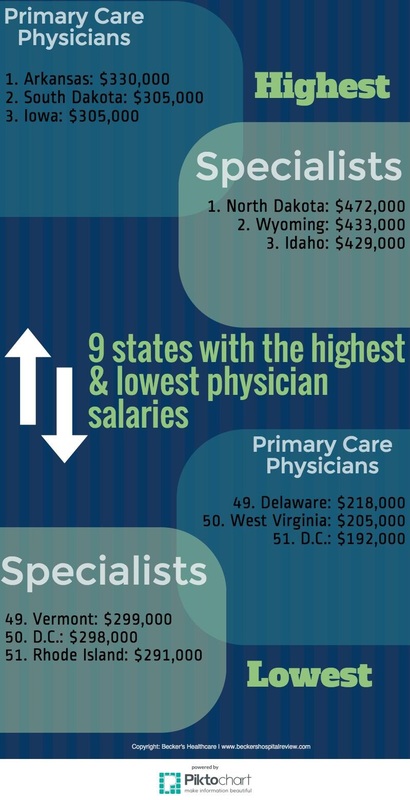 Here are the highest and lowest paying states for physicians, according to Doximity's Career Navigator, an online resource. Note: The resource includes income information from more than 35,000 physicians across the country. Additionally, the data for primary care physicians includes data for family medicine, internal medicine, pediatrics and OB/GYN.